This paper presents a newly developed Belief-Desire-Intention (BDI) Agent-based model for estimating suitable hospital sites. Our model makes use of existing geospatial functions and a novel BDI architecture of agent techniques. More specifically, the fundamental concepts of practical reasoning architecture such as belief, desire, intention, along with commitment, and interaction have been combined with analyses and applications of Geographical Information System (GIS). The proposed model can be customized for a wide range of decision making problems in GIS, one of which is site selection. In this model, minimal travel time, air pollution and land cost are considered as the goals of agents, and then the agents observe, and believe in the environment. The agent then determines the intention to implement on the environment for achieving their desires. The desires are generated from agents’ goals. The interactions among agents are considered as a part of process for achieving contemporarily goals. In this paper, the fundamental components of agent such as observation, belief, desire, intention, commitment, and interaction are introduced spatially, and a BDI-GIS model is defined based on these components. The Desktop GIAgent software, introduced in this paper, has the advantage of using agents for spatial analysis. The interface helps guiding decision makers through the sequential steps for site selection, namely; importing data, defining goals, determining actions and identifying the agent’s characteristics. For demonstrating the robustness of our new model, a case study was planned and executed in Tehran, Iran. The efficiency of the BDI-GIS model in the decision making process for selecting suitable hospital sites was also demonstrated based on the characteristics of the agents and the types of their interactions. Adeli, Z. and A. Khorshiddoust, 2011. Application of geomorphology in urban planning: Case study in landfill site selection. Procedia-Social and Behavioral Sciences, 19: 662-667. Barlaz, M.A., P. Ozge Kaplan, S. Ranji Ranjithan and R. Rynk, 2003. Evaluating environmental impacts of solid waste management alternatives. Biocycle, 44(10): 52-56. Bhushan, N. and K. Rai, 2004. Strategic decision making: Applying the analytic hierarchy process. Springer Verlag. Brabyn, L. and C. Skelly, 2002. Modeling population access to new zealand public hospitals. International Journal of Health Geographics, 1(1): 3. Cheng, S., C.W. Chan and G.H. Huang, 2002. Using multiple criteria decision analysis for supporting decisions of solid waste management. Journal of Environmental Science and Health, Part A, 37(6): 975-990. Cho, Y., W.C. Lee, S. Hong, H.C. Kim and J.B. Kim, 2011. Gis-based suitable site selection using habitat suitability index for oyster farms in geoje-hansan bay, korea. Ocean & Coastal Management. Corresponding, O.M., 2005. A stochastic spatial decision support system based on promethee. International Journal of Geographical Information Science, 19(1): 51-68. Goorah, S.S.D., M.L.I. Esmyot and R. Boojhawon, 2009. The health impact of nonhazardous solid waste disposal in a community: The case of the mare chicose landfill in mauritius. Journal of Environmental Health, 72(1): 48-54. Gorsevski, P.V., K.R. Donevska, C.D. Mitrovski and J.P. Frizado, 2011. Integrating multi-criteria evaluation techniques with geographic information systems for landfill site selection: A case study using ordered weighted average. Waste Management. Gorsevski, P.V. and P. Jankowski, 2010. An optimized solution of multi-criteria evaluation analysis of landslide susceptibility using fuzzy sets and kalman filter. 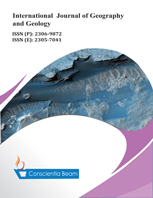 Computers & Geosciences, 36(8): 1005-1020. Guerra-Hernández, A., J. Castro-Manzano and A. El-Fallah-Seghrouchni, 2008. Toward an agentspeak (l) theory of commitment and intentional learning. MICAI 2008: Advances in Artificial Intelligence: 848-858. Guerra-Hernández, A., J. Castro-Manzano and A. El Fallah Seghrouchni, 2009. Ctl agentspeak (l): A specification language for agent programs. Journal of Algorithms, 64(1): 31-40. Hall, D., Y. Guo, R.A. Davis and C. Cegielski, 2005. Extending unbounded systems thinking with agent-oriented modeling: Conceptualizing a multiple perspective decision-making support system. Decision support systems, 41(1): 279-295. Jankowski, P., 1995. Integrating geographical information systems and multiple criteria decision-making methods. International Journal of Geographical Information Systems, 9(3): 251-273. Jordan, H., P. Roderick, D. Martin and S. Barnett, 2004. Distance, rurality and the need for care: Access to health services in south west england. International Journal of Health Geographics, 3(1): 21. Jun, C., 2000. Design of an intelligent geographic information system for multi-criteria site analysis. URISA-WASHINGTON DC-, 12(3): 5-18. Kouznetsova, M., X. Huang, J. Ma, L. Lessner and D.O. Carpenter, 2007. Increased rate of hospitalization for diabetes and residential proximity of hazardous waste sites. Environmental health perspectives, 115(1): 75. Ligtenberg, A., Wachowicz, M., Bregt, AK., Beulens, A., Kettenis, DL, 2004. A design and application of a multi-agent system for simulation of multi-actor spatial planning. Journal of environmental management, 72(1-2): 43-55. Maes, P., 1994. Modeling adaptive autonomous agents. Artif. Life J., 1: 135-162. Radiarta, I.N., S.I. Saitoh and A. Miyazono, 2008. Gis-based multi-criteria evaluation models for identifying suitable sites for japanese scallop (mizuhopecten yessoensis) aquaculture in funka bay, southwestern hokkaido, japan. Aquaculture, 284(1-4): 127-135. Rahman, M.A., B. Rusteberg, R. Gogu, J. Lobo Ferreira and M. Sauter, 2012. A new spatial multi-criteria decision support tool for site selection for implementation of managed aquifer recharge. Journal of environmental management, 99: 61-75. Rojanamon, P., T. Chaisomphob and T. Bureekul, 2009. Application of geographical information system to site selection of small run-of-river hydropower project by considering engineering/economic/ environmental criteria and social impact. Renewable and Sustainable Energy Reviews 13: 2336–2348. Ross, L.G., N. Handisyde, D.C. Nimmo, G. Burnell and G. Allan, 2009. Spatial decision support in aquaculture: The role of geographical information systems and remote sensing. New technologies in aquaculture: improving production efficiency, quality and environmental management: 707-749. Saaty, T.L., 1980. Analytic hierarchy process. Wiley Online Library. Salminen, P., J. Hokkanen and R. Lahdelma, 1998. Comparing multicriteria methods in the context of environmental problems. European Journal of Operational Research, 104(3): 485-496. Sener, S., E. Sener, B. Nas and R. Karagüzel, 2010. Combining ahp with gis for landfill site selection: A case study in the lake beysehir catchment area (konya, turkey). Waste Management, 30(11): 2037-2046. Silva, C., J. Ferreira, S. Bricker, T. DelValls, M. Martín-Díaz and E. Yáñez, 2011. Site selection for shellfish aquaculture by means of gis and farm-scale models, with an emphasis on data-poor environments. Aquaculture. Tweedale, J., N. Ichalkaranje, C. Sioutis, B. Jarvis, A. Consoli and G. Phillips-Wren, 2007. Innovations in multi-agent systems. Journal of Network and Computer Applications, 30(3): 1089-1115. Vahidnia, M.H., A.A. Alesheikh and A. Alimohammadi, 2009. Hospital site selection using fuzzy ahp and its derivatives. Journal of environmental management, 90(10): 3048-3056. Wang, G., L. Qin, G. Li and L. Chen, 2009. Landfill site selection using spatial information technologies and ahp: A case study in beijing, china. Journal of environmental management, 90(8): 2414-2421. Zadeh, L.A., 1965. Fuzzy sets. Information and control, 8(3): 338-353. Zadeh, L.A., 1978. Fuzzy sets as a basis for a theory of possibility. Fuzzy sets and systems, 1(1): 3-28.